Aaaannnnddd......it's Monday again! And this Monday is even more special because it's St.Patrick's Day! So link up your veggie goodness at the end of this post! Wonderful color green also the orange slices look great with the pot of gold! Digging the "extremely green" pancakes! thumbs down on this post, sorry. 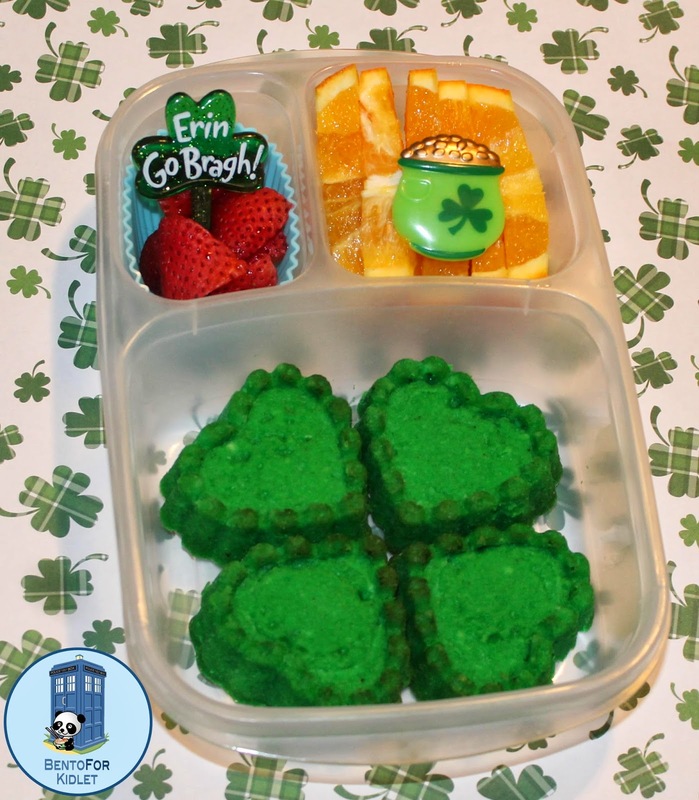 St. Patrick's day is a great opportunity to introduce your kids to natural greens, why would you do this?! We've had things like cucumbers, green grapes, kiwi, green apples, green pears, mixed greens, edamame, rice balls with bits of nori, green eggs (colored with green tea powder), green juice (w/an ice pack). Or green hummus (either edamame (you can buy it at Trader Joe's) or add green food coloring to hummus. I have to say I am disappointed. Thumbs down on this comment. Especially posting anonymously. It must be difficult to think with the air being so thin up there on your high horse. The great news is that I pack lunches for a 13 year old boy not a toddler so there's no need to use this holiday to introduce him to new foods. The foods you listed are all things he already likes. Additionally, how about broccoli, pistachios, avocado etc. All things my kid also likes that are green. Unfortunately I simply didn't have any of these things on hand. Well, I have greens and snap peas but those do not go well with pancakes so we had those for dinner instead. This is just one lunch meant to make my kiddo smile at lunch. Did the pancakes turn out frighteningly green? Yup. That was unintentional. I used just a tiny amount of a new food coloring and they turned out really green. So what? No different than your suggestion of putting green coloring in hummus.